A trip to one of the world's numerous cemeteries is not only worthwhile for people that love all about scariness and spooky spirit. 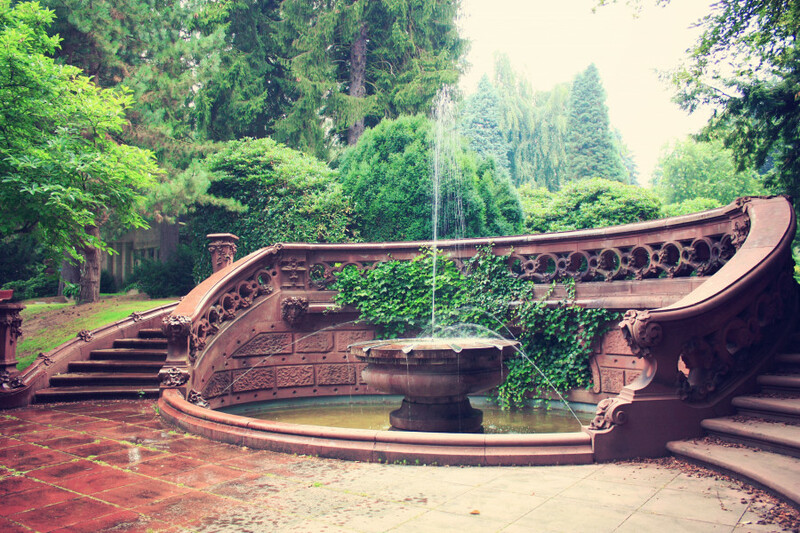 No, we are not kidding: After all, cemeteries are not only places where the remains of the dead are buried, often these are historical sites rich in history, with idyllic park designs and famous "inhabitants". 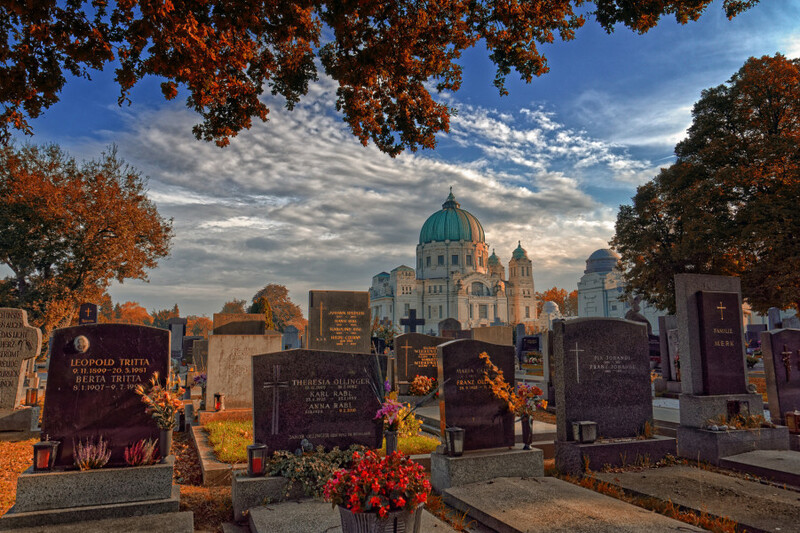 Here they are, some of Europe's most popular and most interesting cemeteries. CC BY-NC-ND 2.0 © Dia✿ The park that constitutes Ohlsdorf Cemetery is particularly beautiful and hardly comparable to other cemeteries in Central Europe. The Ohlsdorf Cemetery is Hamburg's largest green area with 961 acres. Moreover, it is the largest garden cemetery in the world. About 450 deciduous and coniferous woods as well as ponds and streams inhabited by water birds invite you to get some rest and enjoy some relaxation time. Its road network is also characteristic: the paths cross the cemetery in east-west or north-south direction, resulting in chessboard parcels. A visit to the Rhododendron flowering plant in June is highly recommended. The complex also has its own museum with plans, documents, and drawings from 130 years of the cemetery's history. Famous people buried here include the German entertainer Heinz Erhardt, musician Roger Cicero and politician Helmut Schmidt. CC BY 2.0 © Christoph Sammer View of Graves at Vienna Central Cemetery and the Charles Borromeo Church in the background. “Long live the Central Cemetery“ (“Es lebe der Zentralfriedhof“) - In the 1970s, Wolfgang Ambros sang the praise of Vienna's famous resting place. The cemetery spans about 620 acres with over 330,000 interments and thus is the second largest cemetery in Europe with Ohlsdorf Cemetery in Hamburg being the largest one. Vienna Central Cemetery is one of the city's most popular sightseeing attractions due to its Art Noveau buidlings and the prominence of its honorary graves, including Ludwig van Beethoven's, Udo Jürgens' and Falco's. Everyone who does not really feel like strolling around on their own should make sure to be part in one of the various guided tours. Fearless visitors may want to book a guided tour at dusk, when the grave candles lit in memory of the dead put the cemetery in an extra scary mood. CC BY-NC 2.0 © Bastien Milanese View of the mausoleum of Henri Leglise at the cemetery Père Lachaise in Paris. Père Lachaise is not only the largest cemetery in the French capital of Paris, but also the city's most famous one. Established in 1804, it is notable for being the first garden cemetery. Nowadays, it is still one of the most visited sights in Paris, attracting around two million visitors every year. Many famous personalities found their final resting places here, including Frederic Chopin, Jim Morrison, and Oscar Wilde. In May 1871, nearly 150 members of the Paris Commune were executed and buried in a mass grave at the "Mur de Fédérés", the Wall of the Federated, which is located in the southern part of the cemetery. However, funerals still take place at Père Lachaise these days. Whoever wants to have their final resting place here, must be a permanent resident of Paris and meet quite a number of other criteria. CC BY-NC-ND 2.0 © Zoe4 View of the entrance to Egyptian Avenue on Highgate Cemetery. 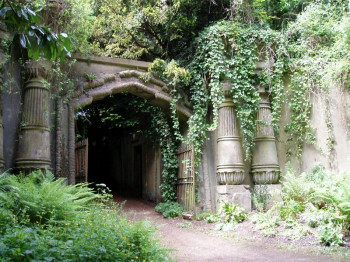 Highgate Cemetery was opened in 1839 in north west London. The Victorian burial ground is definitely London's most handsome cemetery being not only a nature reserve, but also a Grade I historic site, renowened for its funerary architecture and notable people buried here, such as Karl Marx, whose tomb is decorated with extracts from his Communist Manifesto. While the East part is freely accessible, the West part can only be visited by guided tours, where you will also see “Egyptian Avenue“, an area that is architecturally inspired by ancient Egypt or “Terrace Catacombs“, a catacomb for over 800 people who have died. 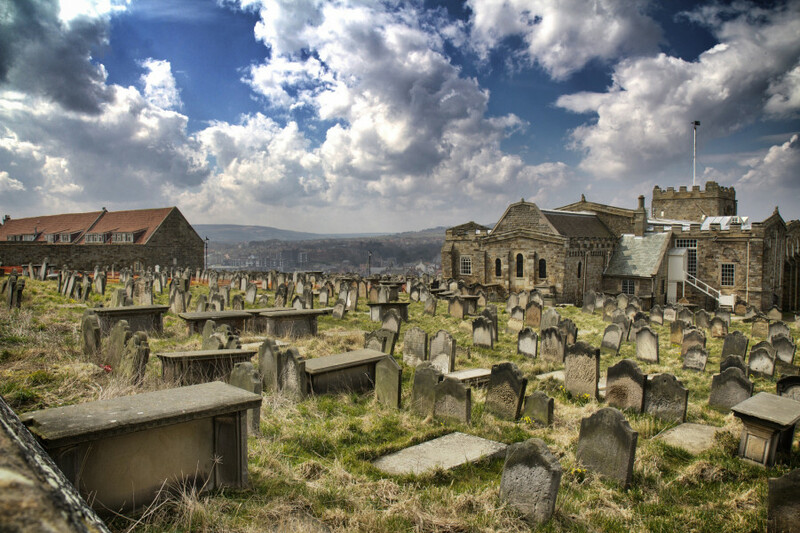 CC BY 2.0 © Rob Faulkner We proudly introduce the world's creepiest cemetery: Whitby! This one will scare you out of your skin: The cemetery of the historic seaside town of Whitby located on the east coast of Yorkshire is said to have been the model for Bram Stoker's Dracula. Stoker, who lived in Whitby for a while, was said to be able to look out from his desk at 11th-century St Mary's Church and the adjacent cemetery. He was said to be inspired by the bats flying around the steeple. Thousands of fans of the famous vampire count make their annual pilgrimage to the cemetery, which is located high atop a seaside cliff and thus already has a particularly gloomy and somber atmosphere. As if that weren't enough: In 2013, hundreds of years old bones were uncovered by a landslide and heavy rainfall.